Kilode ten bora? Why u dey bleach up your skin...! This type of Naija song that addresses the disturbing issues with African women bleaching their skin — is long overdue. Though it's just a freestyle, the song ought to go mainstream. Good job Patoranking and Olamide for this wonderful message in form of music. Nigeria Music Network suggests you share this song with friends and people you know who are bleaching their beautiful Black skin. 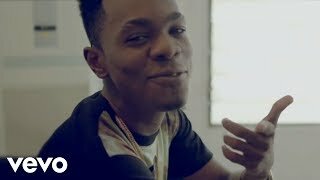 "New joint from Patoranking where he addresses a very interesting topic... Bleaching. So all you girls bleaching, Patoranking dey ask you question. The song Bora features Baddo Olamide and is one the beat of Chris Brown's Loyal." Skin bleaching is a big issue in Nigeria and many West African countries. But Good News! Ivory Coast is the first African country to ban the sale of bleaching cream products in the country! "She no hear wetin pastor dey preach, you want to look like half cast, now ur body don cast"
Nigeria Music Network is powered by IGWE Media Group.